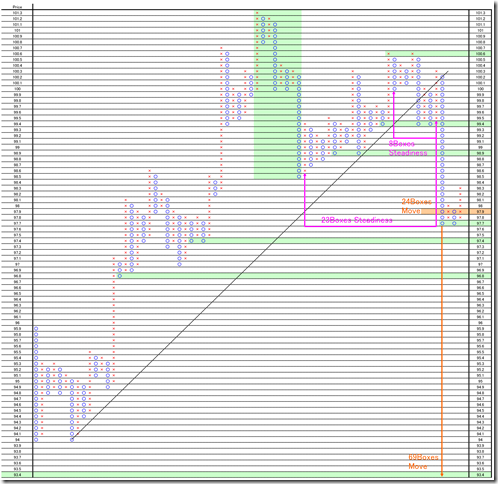 Chicago soybean nearby month daily; the target price is 8.25 point calculated by P&F; this market may be a big fall. 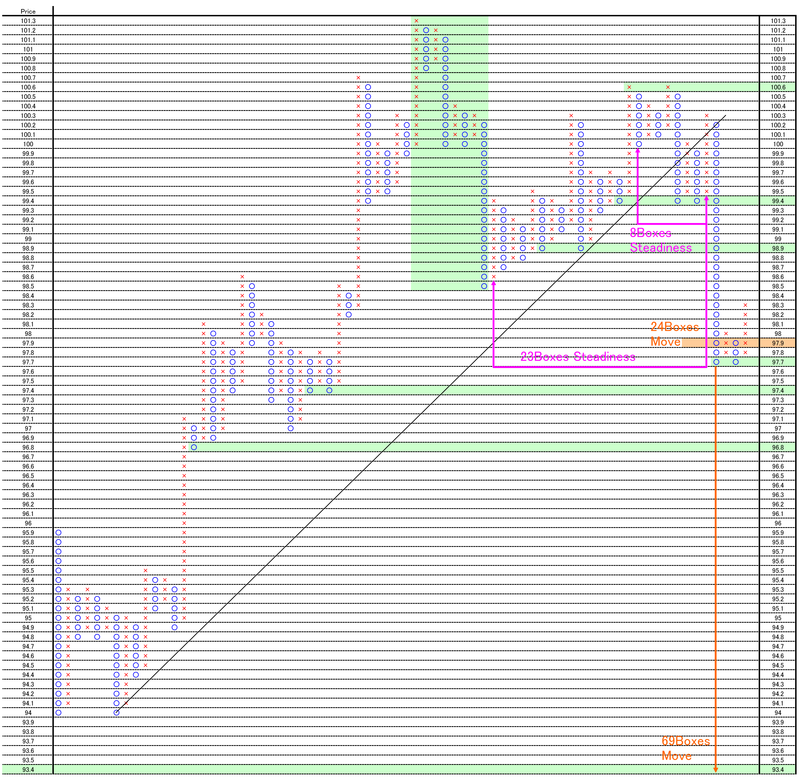 The market price cut 3 points bottom. This may be a big fall. 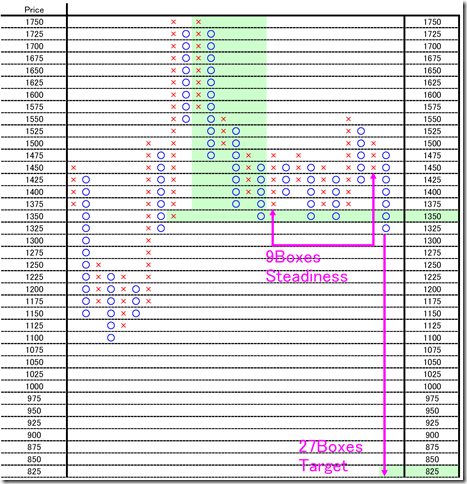 The target price is 8.25 point; 9 boxes steadiness and 27 boxes move calculated by horizontal method. Dollar/Yen hourly; next selling entrance will be under 97.70yen. 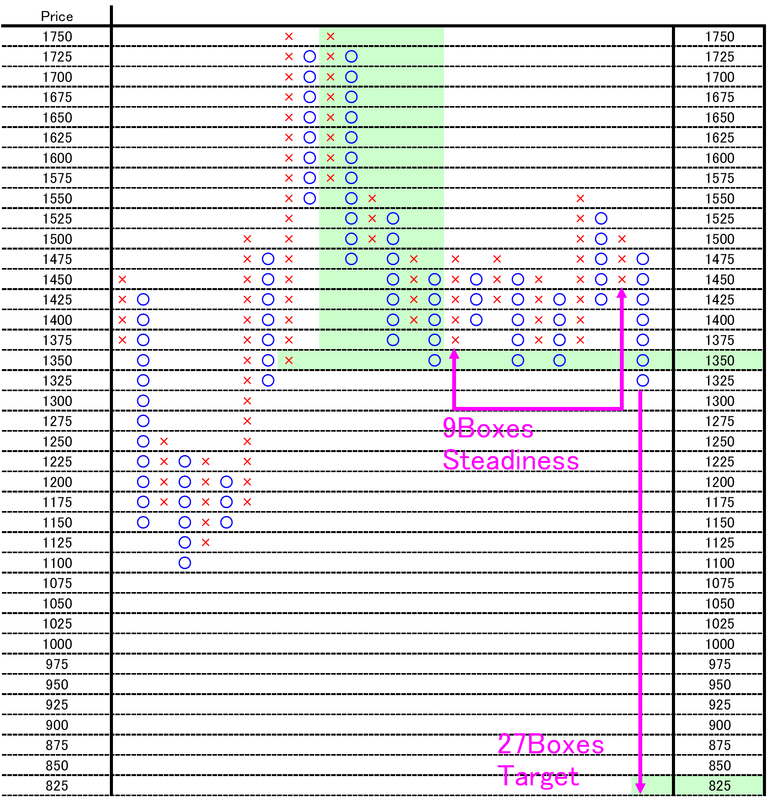 The market broke out down side (8 boxes steadiness and 24 boxes move) and the market price moved 26 box; we are still bearish. We are seeking for the next selling point and the next selling entrance will be under 97.70yen. If it will be a big deal, the target price will be 93.40yen.